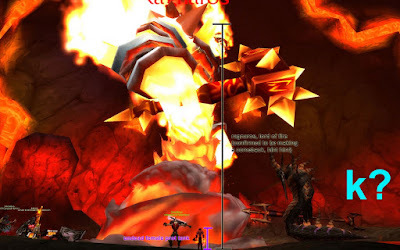 The truth of the matter is that I actually put Arthas down many months ago, and never got back around to upholding the original plan, which was to send him back out into the world to be put down again by someone else. The thing was, though, that I promised to send it back out into the world, and I've been a horrible person. Tesh wrote a little note inside the cover, and the plan was going to be that I scribble something to the winner of my own little contest, and the process continues until we're all old and crusty, and we're stuck scribbling in the margins on page 212, since every other page is already taken, and the book has traveled to every country and everyone who plays WoW has read it. Then we auction it off and donate the proceeds to Child's Play or whatever, we all live happily ever after, and our grandchildren all take a second to unhook their brain feeds to make fun of us for playing 3d MMOs rendered on a 2d surface with something as lame as a "mouse" (lol, grandpa you're so gay (apparently some things never change (omg triply nested parenthesis FTW!))). So I gotta cook up a scheme whereby I can select a winner to send this book out, because I've had it way too long. Speaking of sending books out, I also have a copy of "The Guild Leader's Handbook" that got sent to me because I'm apparently a horribly important person with all sorts of horribly interesting things to blog about, and they gave me a free copy to 'review'. That will be coming later, probably attached to a giveaway of the book itself assuming they're okay with that. Look, I basically got free books coming out my wazoo is what I'm trying to say here. First person with the correct answer (it really isn't that hard) gets the book, BUT (!) you have to be willing to send it back out into the void after you're done with it. If you have a blog I'll happily point people in your direction when you have your own post like this up and running, or if not I can host your own little contest here for you. You'll need to ship it to the winner, though, that's part of the deal. If you don't feel like partaking but still know the answer, don't post it until someone else has, or it'll ruin the whole Jeopardy vibe we have going here. Is it the Stratholme Lily? 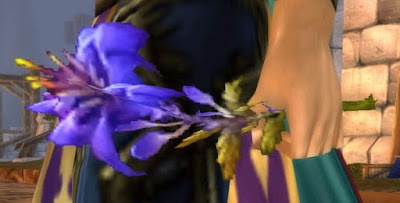 It seems like an item from Redridge quest the one about love between guard and lady from village. 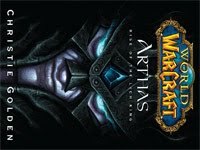 The Stratholme Lily has the same ingame icon as Arthas' Tears, and is an offhand item sold by a vendor inside CoS (only before the event starts). 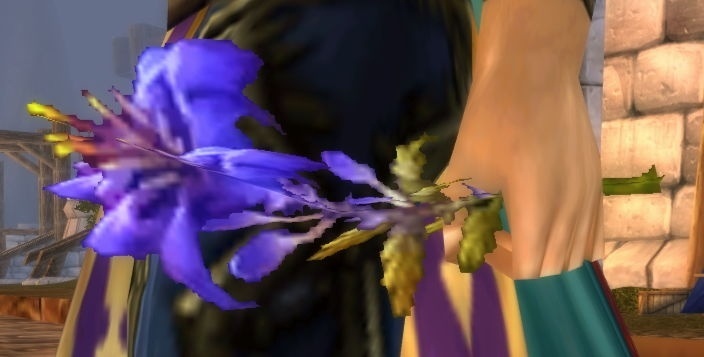 It's speculated that the name of the flower was changed after the culling of stratholme, possibly because everyone knows how emo Arthas is and how he's so quick to cry when teased. Nik, I clicked the link on your name, but profile viewing is restricted, so shoot me an email at ixobelle@gmail.com with your address, and I'll drop it in the mail ASAP. Everyone else: stay tuned for the Guildmaster's Handbook giveaway in a week or so, after I have a chance to give it a once over.